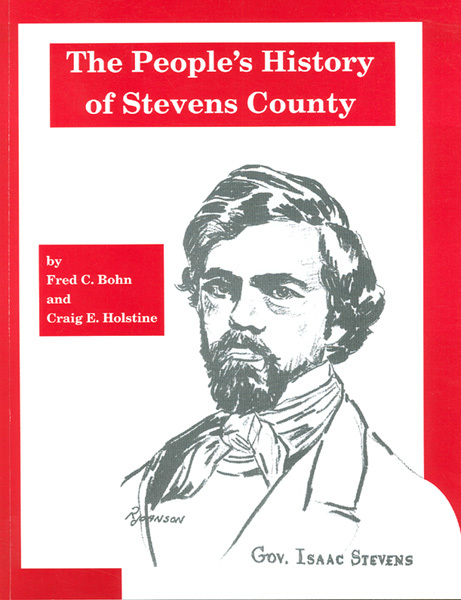 Republished by NeWGS in 2006 with permission from the Stevens County Historical Society; 127 pages, plus an-all name index and over 50 historical photographs. This book chronicles the history of Stevens County based on 96 oral interviews done in the early 1980s through a grant from the Washington Commission of Humanities. "Taken collectively, the interviews in the Stevens County Oral History Collection add a dimension to our understanding of northeast Washington's heritage; they have given us information that would have been impossible to obtain in any other way." ...."The authors skillfully have blended their own remarks and those of the narrators to produce a readable and interesting book that not only is a good story, but also shows the historian as a detective gathering scraps of evidence from which to draw conclusions." Chapter topics include Early History, The Stevens County Heritage, Everyday Life, Stevens County Women, Schools and Learning, The Mining Frontier in Stevens County, Loggers and Lumberman, Farming and Agriculture, The Roaring Twenties and the Great Depression, and Looking Back. It also includes biographical sketches of the oral history interviewees.